….and when I say life, I mean football. and knitting. This past month has been madly busy for me. 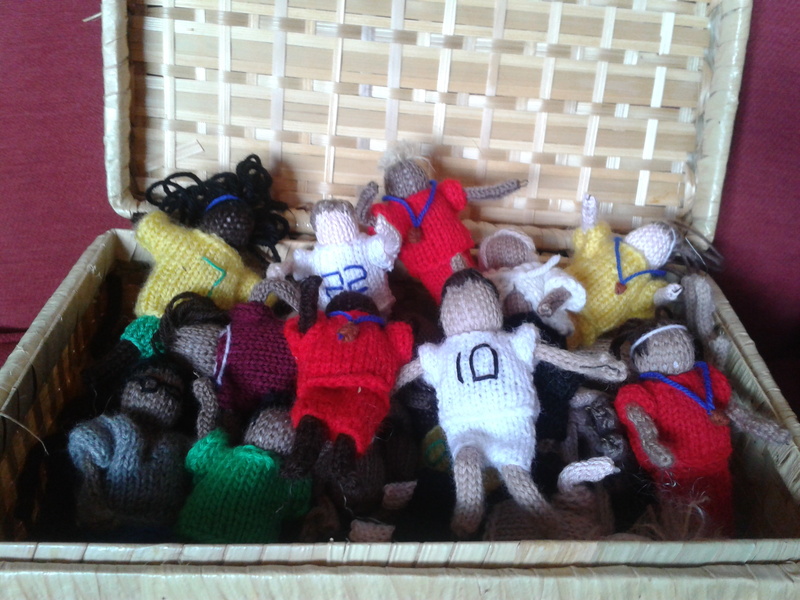 The Women’s World Cup has been held in Canada and I’ve been reporting on matches through the medium of knitting in my other guise as The Knitted Footballer – a comedy/gender political project I’ve been doing. The tournament is now over – won by USA, but I’m still frantically trying to finish off a few commissioned pieces, so the pressure is still on. Apart from watching a lot of late night football and furiously knitting, I struggled to find the time to do anything else. My reading time got drastically reduced to a few pages grabbed here and there before my sleep-deprived eyes over-ruled intention. As well as severely limiting my inspiration for writing book-related blog posts, I really noticed a difference in how I’ve felt. Reading less is like exercising less. It makes me feel out of sorts. 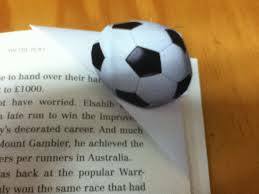 Those daily moments spent with a book broaden my perspective, taking my thoughts away from the minutiae of my life. I get to brood on beautiful prose, intriguing characters, challenging situations and astonishing ideas instead of what I’m going to make for dinner. Reading expands my world and I’ve sorely missed it. I enjoyed the World Cup immensely, but I’m really looking forward to getting back to some serious page-turning. If only I felt the same renewed enthusiasm for getting back into exercise. I’ve been in the same boat, mainly because I have been watching random stuff online but it does make me feel freer to get back into Émile Zola’s Germinal again, it is great and makes me feel instantly more intelligent. Exercising the mind is always a lot more helpful than the body but that’s because I have the scientifically yet to be discovered lazy gene. Haha, I think I have that very same lazy gene. I think the era of the boxset/on-line boxset has turned the population into hermits. I’m currently watching ‘The Wire’ – I seem to be the only person on the planet to have missed it until now. It’s so good, I’d happily watch into the early hours every night if it was down to me, but thankfully, my husband is hard-wired to fall asleep after exactly one hour of tv viewing, so unless I want to sit through repeats, my viewing is restricted. that’s so funny about ‘Germinal’. A few pages of ‘Infinite Jest’ makes me feel like Benedict Cumberbatch as Sherlock Holmes, although any more than that and I feel like my head is about to explode! By coincidence, I am only two episodes off finishing The Wire for the umpteenth time, it is really good, I am going to attempt some sort of review when I finish, it is so good it ruins the majority of TV after that I find. Where abouts are you up to? It really has broken tv drama. I just finished series 4, and now feel like an empty shell. I can see that watching the whole thing again – especially the first couple of seasons – would be beneficial, as you’ve gleaned so much more knowledge about those early characters and their backgrounds. I’m borrowing a season at a time from a friend, but I may have to get my own copy for that very reason. Ain’t that the truth! I’ve even started dreaming about running riot in a library. Everything seems to get in the way of my reading these days. i need to cut down on my blogging time, and read some more. So true: Reading less is like exercising less. Book blogging seriously eating into reading time – Oh the irony! I am so guilty of that. It’s so hard to get the balance right, isn’t it?